On February 28, 2018, we purchased Spectra, a 324-unit, Class A, trophy multi-family gated community located on 32.5 acres in South Fort Myers, Florida. Built in 2017, Spectra’s community amenities include a 6,000 square-foot country-club style clubhouse featuring high quality finishes, coffee bar, computer lounge, dog park, tennis court, fitness center, and resort-style pool with extensive sun deck and cabanas. Unit amenities include 9’4” ceilings, wood-style flooring, stainless steel appliances, granite countertops, walk-in closets, kitchen islands, storage on the balconies, washer and dryers and ceiling fans. On February 14, 2018, H. Katz Capital Group acquired Campus Lodge-Gainesville, a 1,115-bed student-housing community in a prime location near The University of Florida and downtown Gainesville, Florida. 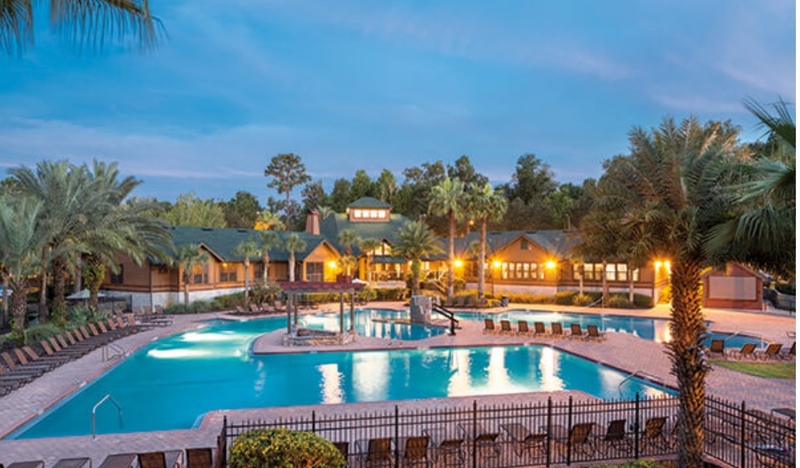 This property’s highlights include bed-bath parity, in-unit washer and dryer, and screened porches, as well as resort-like community amenities including one of the largest pools in Gainesville, a lodge themed clubhouse, sand volleyball and basketball courts, a fitness center and a car wash.
On October 19, 2017, we acquired Capital Park @ Seventy-Two West located in the heart of Huntsville’s high-tech corridor. This 233-unit luxury apartment community offers the latest in-residence technology including keyless entry doors, fiber optic cable, charging stations with USB ports, and state-of-the-art Nest thermometers. The property is fully gated community and features a resort-style, heated saltwater pool, 2,000 square-foot sports club, and bocce court. On September 14, 2017, HKCG Realty Associates purchased the Preserve at Forest Creek, a 414-unit luxury apartment community serving downtown Memphis, Germantown and Collierville, Tennessee. The one, two, and three-bedroom apartment homes feature lakeside views, open layouts, upgraded wood flooring and crown molding. Residents enjoy best in class amenities including a heated resort-style pool and spa, indoor and outdoor sport courts, and clubhouse with poker room. On June 30, 2017, we purchased Estates at Perimeter, a 240-bed Class A multifamily apartment community in Augusta, Georgia. The property is an exclusive gated community, with award-winning landscaping, aresort-style pool, clubhouse, fitness center, gourmet coffee bar, and business center. The Estates at Perimeter features one, two and three-bedroom pet-friendly apartment homes with great views, nine-foot ceilings, crown molding, garden tubs, patios and balconies. On December 16, 2016, H. Katz Capital Group purchased Arlington Cottages and Townhomes, located in Boca Raton, Louisiana. The property is a newly built 732-bed, 179-unit luxury purpose-built student housing community serving the students of Louisiana State University. Its cottages and townhomes are pet-friendly, and feature free cable and wi-fi, a dishwasher, microwave, washer and dryer, and private bathrooms for all bedrooms. Amenities include a shuttle service to campus, a resort-style pool, outdoor cabanas, a sand volleyball court, a 24/7 clubhouse, a study hall, a fitness center with yoga studio and spin room, sauna and steam room, and outdoor BBQ grills. On December 9, 2016, we acquired The Outpost, a brand new 712-bed, 220-unit purpose-built, luxury student housing community serving the students of Colorado State University in Ft Collins, Colorado. The property’s apartments and townhomes feature open layouts, private bathrooms for all bedrooms, large closets and extra storage space, and washers and dryers. Residents enjoy community amenities including a resort-style pool, movie theater, 24/7 fitness center with yoga studio, game room, sand volleyball court, and study lounge. Also, on December 9, 2016, we purchased Pulliam Square, a 145-unit luxury mid-rise conventional multi-family apartment community located in downtown Indianapolis. The property is uniquely positioned within walking distance to the central business district and the city’s cultural district. Studio, one, and two-bedroom floorplans feature modern upscale finishes, walk-in closets, and floor-to-ceiling windows. On-site amenities include a craft brew pub with over 50 beers on tap, dog park, bocce court, and courtyard with city views. 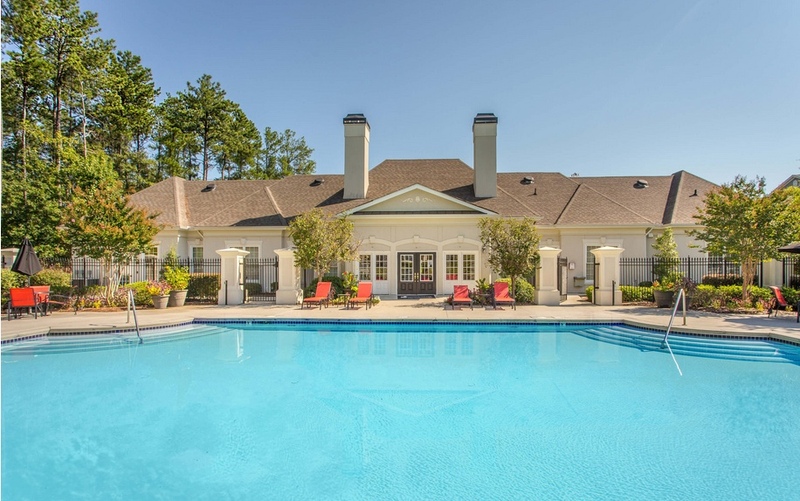 On September 30, 2016, H. Katz Capital Group acquired Coastal Club, a 636-bed Class A student housing community located within walking distance of Coastal Carolina University. The property’s fully furnished two and four-bedroom floorplans feature open layouts, modern finishes, private bedrooms and bathrooms, and in-unit washers and dryers. Residents enjoy over 15,000 square-feet of amenities including a resort-style saltwater pool, pro-style sand volleyball court, expansive clubhouse, movie theater, and game room. On September 6, 2016, we purchased Campus Lodge-Tampa, a 1,067-bed, 312-unit purpose-built student housing community serving the students of the University of South Florida. Campus Lodge’ architecture is a unique combination of lodge-themed style and student-focused design. Residents enjoy community and apartment amenities including an on-site nature reserve, lagoon-style pool, chalet-style clubhouse, queen-sized beds, and large laundry rooms. On June 7, 2016, we acquired Ashley at Breakfast Point, a Class A 360-unit luxury apartment community located near Gulf of Mexico beaches in Panama City Beach, Florida. The property offers market-leading amenities and features spacious 1-3 bedroom floor-plans with open layouts, a resort-style pool, furnished lanai, and 24/7 fitness center. On May 5, 2016, H. Katz Capital Group acquired The Lighthouse, a 124 units and 348 beds core pedestrian student housing community serving the University of North Carolina, Wilmington, in Wilmington, North Carolina. The Property offers Class A finishes and features an ample clubhouse that includes a game room, a fitness center, a study room, a business center, a tanning bed and a theater room. It has a large pool area with a tanning shelf in the pool and a hot tub. Other outdoor amenities include two sand volleyball courts, an outdoor kitchen and a fireplace. On December 28, 2015, H. Katz Capital Group acquired Tetro Student Village, a garden-style student housing complex pedestrian to the University of Texas at San Antonio. The Property consists of a total of 198 units and 590 beds spread amongst 20 three-story residential buildings. Tetro offers residents a coffee bar near the shuttle stop, soccer, basketball and volleyball courts, a media lounge, fire pits, and a bocce ball court (among many other amenities) all in a town-center layout. Also, on November 17, 2015, we purchased The Park on Morton, a luxury off-campus apartment community less than one mile from the Indiana University’s Bloomington campus. The property consists of 152 one to four bedroom units with 472 total beds. The Park On Morton offers fully furnished urban apartments with open layouts, patios and balconies, designer finishes, granite countertops, private bathrooms in all bedrooms, free Wi-Fi and cable, washers and dryers, and huge walk-in closets. Plus, residents can enjoy amenities like a resort-style pool, clubhouse lounge, 24/7 fitness center and gaming destination. On October 6, 2015, we purchased the sister properties of Clifton Park on the Boulevard and The Palmer House on the Boulevard, located in the Columbus, Ohio suburb of New Albany. Each community is a 264 unit, multi-family project consisting of one and two bedroom apartments, within easy reach of downtown Columbus. Clifton Park’s traditional, ornate styling was designed to reflect New York’s Upper East Side. Residents enjoy exclusive access to our Vegas-style infinity pool, mini bowling lanes, outdoor kitchen, fire pit, complimentary Starbucks café, billiards room, community pub, massage room, car wash, and cyber lounge. Palmer House’s brick facades, large-pained windows and deluxe finishes were designed with the metropolitan complexes of New York and Chicago in mind. Residents enjoy exclusive access to their own stunning Vegas-style infinity pool, outdoor kitchen, fire pit, 24-hour fitness center, screening room with surround sound, billiards room, complimentary Starbucks café, massage room, and car wash.
features a Starbucks café bar and coffee lounge, free tanning, security, garage parking and a courtyard with a fire pit. H. Katz Capital Group expanded its real estate investment range with its acquisition on August 27,2015 of The Laurel at Vintage Park. The Property is a newly constructed, 120-unit active adult community located in northwest Houston, Texas. With abundant retail, medical, entertainment, and shopping destinations in close proximity, The Laurel is ideally located for 55+ active adults. The Property is a three (3) story building with interior corridors and is situated around a large, interior courtyard with a relaxing pool, generous seating and BBQ grills. On November 5, 2014, H. Katz Capital Group purchased Highland Square, a 753-bed student housing project located less than two miles from the University of Mississippi campus in Oxford Mississippi. The mixed-use development consists of cottages, flats and town-homes spread across 60 acres, and features a town square with roughly 15,000 square feet of diverse retail, amenity space, clubhouse and a mix of floor plans. Highland Square is a progressive project in the multi-family industry that will transform the way students view housing due to its unique urban environment. It is designed to provide a high-quality and amenity-rich living community for students as the University of Mississippi experiences record breaking enrollment. On September 24, 2014, we purchased Pine Lakes Apartments in Port St. Lucia, Florida. The property consists of 320 luxury garden-style multifamily residential units. Pine Lakes is convenient to the Treasure Coast beaches and is adjacent to a conservation area. Its amenities include two resort-style swimming pools, a spa, tennis and volleyball courts and a well appointed clubhouse. After rebranding the property as Apex Prima Vista and undertaking certain improvements, we sold the property on October 31, 2016, earning a considerable gain. student housing asset serving students of University of Missouri in Columbia, Missouri. features a resort-style pool, a clubhouse, a professional sand volleyball court, a state-of the-art fitness center, and multiple study/conference rooms. 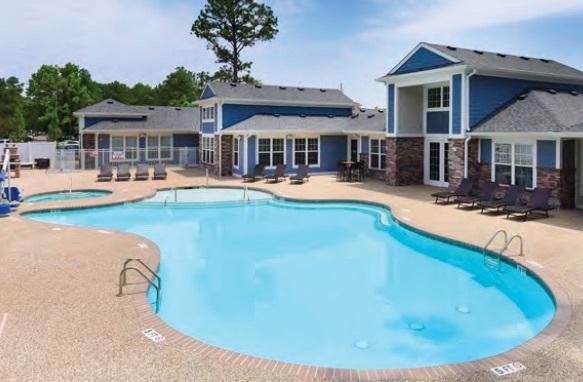 On June 18, 2014, H. Katz Capital Group acquired The Villages at Lakeshore Crossings, a 264 Unit, 11 building apartment community located in Birmingham, Alabama. The development, which was constructed in 2013, features walking trails, a tennis court, a large walk-in pool, and an extra-large fitness center, and is within walking distance of Red Mountain Park, an urban green-space that is 40% bigger than New York’s Central Park. The apartments feature an open floor-plan, hardwood floors, eloquent cabinetry and a private porch or sunroom in every unit. We exited this project on September 28, 2017, realizing a considerable return. On May 30, 2013 H. Katz Capital Group purchased the Canopy Apartments, a student housing community located close to the University of Florida campus. Built in 2009, the property consists of 240 units with 770 beds. The apartments are fully furnished, and feature granite counters and stainless steel appliances. Residences have access to a resort style pool, a fitness center, indoor basketball court, volleyball court, virtual golf and free wi-fi. On June 29, 2017, we exited the investment at an attractive price. 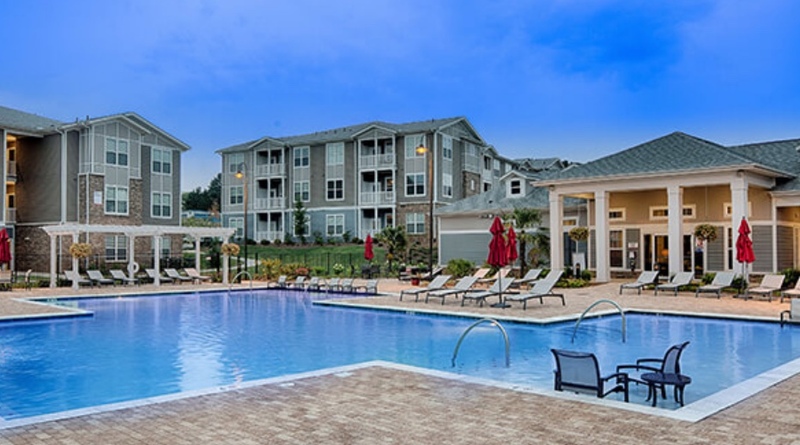 On May 3, 2013 H. Katz Capital Group purchased The Carlton at Greenbrier Apartments, a 176-unit, best-in-class apartment community located in the Greenbrier section of Chesapeake, Virginia. The property features an attractive mix of units with large floor plans and first class finishes and amenities. Outdoor features include a resort-style swimming pool, state-of-the-art fitness center, and a community fireplace. On March 29, 2013, H. Katz Capital Group purchased The Retreat at Panama City Beach, a 360-unit luxury garden-style apartment community located in Panama City Beach, Florida. The Retreat at Panama City Beach is located between two major employment centers as well as is walking distance to a Gulf of Mexico Beach. Its units are filled with state-of-the-art amenities, and the property features a zero-entry swimming pool, a recreation and fitness center and boat-parking. On October 2, 2015, we exited the investment at an attractive price. On November 16, 2012, H. Katz Capital Group purchased The Domain at Town Centre, a 336-unit, 912-bed student housing facility located in Morgantown, West Virginia. The Domain, the newest student-residential asset serving West Virginia University, is filled with state-of-the-art amenities, and located strategically next to the University Town Centre with its over 1 million square feet of national retail tenants and restaurants providing residents with an unrivaled live/work/play environment. Moreover, WVU's new baseball stadium will be within walking distance of the Domain. On November 1, 2012, H. Katz Capital Group purchased Axis West Campus, the premier student housing property serving the University of Texas in Austin. A brand new, 167-unit, 476-bed student housing facility, Axis West Campus is the cutting-edge asset that provides a dynamic student lifestyle, with best-in-class facilities, the highest quality amenities and a place for students to thrive. On February 11, 2016, we exited the investment at an attractive price. On September 10, 2012, H. Katz Capital Group purchased the Links at Windsor Parke, a 17 building, 280-unit luxury apartment complex located in Jacksonville, Florida's most desirable residential neighborhood. The Links at Windsor Parke offers a full array of lifestyle amenities, including a resort-style swimming pool, fully equipped athletic center and tennis court. On December 22, 2015, we exited the investment at an attractive price. On August 23, 2012, H. Katz Capital Group purchased a newly constructed, freestanding Walgreens located in Lake Wales, Florida. 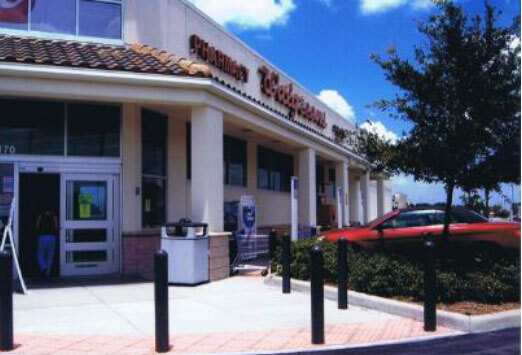 The property is leased to Walgreens on an absolute, triple-net basis for a term of 75 years. On July 31, 2013, we added a triple-net-leased Dollar General located in Port Richey Florida to our portfolio. In November, 2013, we sold our Walgreens at a substantial profit. On August 1, 2012, the H. Katz Capital Group made an equity investment in and became the majority owner of Soleil at Ponte Vedra Apartments, Ponte Vedra, Florida. Soliel at Ponte Vedra is a 240-unit, luxury, garden-style apartment community located near the beach in an area with sparse rental housing. H. Katz Capital Group was able to structure the transaction in a fashion that served the previous owners tax objectives. On April 29, 2015, we exited the investment at an attractive price. 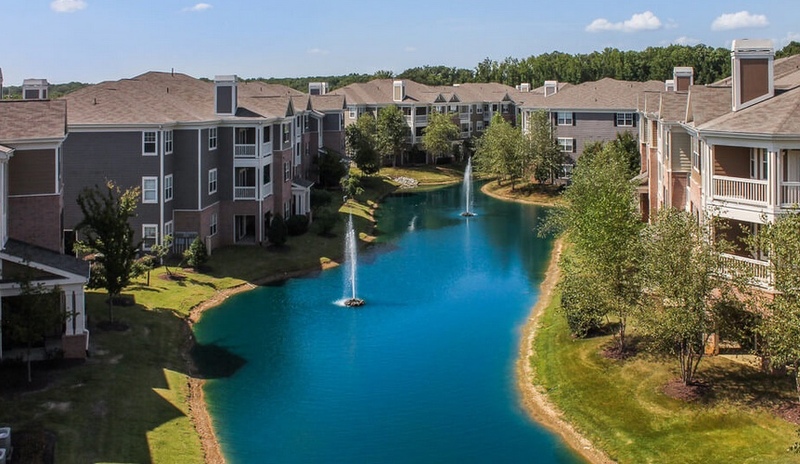 On June 14, 2012, H. Katz Capital provided the equity funding for the purchase of the Enso Apartments, a 325-unit urban luxury rental community located in Atlanta, GA. We closed the deal in 25 days, including securing government agency financing. After successfully operating Enso for a little over two years, on July 18, 2014, we sold the property at a favorable price to a major investment fund. In August, 2011, H. Katz Capital Group has partnered with Goodman Properties, a regional real estate development and management firm, to form Cedar Hill Realty Partners. Cedar Hill invest in single-tenant retail real estate throughout the United States occupied by major retail concepts. It has closed an average of one acquisition a month since its formation. H Katz Capital Group (HKCG) is proud to announce that on August 19, 2011 it expanded into Campus Housing with the acquisition of University Suites. This property is one of the premier student housing facilities serving North Carolina State University. University Suites is a 136-unit, 518-bed student housing property located at 2190 Ocean Reef Place, Raleigh, North Carolina. On June 30, 2015, we exited the investment at an attractive price. H. Katz Capital Group is a principal investor in Dream On Realty. Dream On Realty owns and leases real estate for family style, casual restaurants, and made its first acquisition in July, 2011. On August, 1, 2011 H. Katz Capital Group, through its wholly owned affiliate, Interstock Acquisition Company, purchased the multi-million dollar retail and wholesale kitchen cabinet, bathroom vanity, and accessories businesses known as closeoutcabinets.com and Interstock Premium Cabinetry. Interstock offers premium, solid wood kitchen cabinets and bathroom vanities in both the retail and wholesale markets. It has since been rebranded as The Solid Wood Cabinet Company. The rapidly growing company has retail locations in four states, and sells to some of the countries largest providers of residential and campus housing. H. Katz Capital Group is the principal investor in JAGS Realty Associates. On March 23, 2011 JAGS purchased a 94,000 square foot retail facility that is fully leased to prominent national and local retailers. H. Katz Capital Group, Inc. is partnering with The Rock Wood-fired Pizza & Spirits to expand its family focused full service casual dining concept. Though focusing on gourmet wood fired pizza, The Rock offers an array of pastas, burgers, sandwiches and salads. Add unique microbrews and cocktails to the list and you truly have something for everyone. Opened in 1995 as a gritty, local pizza joint in Tacoma, The Rock's gourmet pies and unique atmosphere quickly gained recognition. The Rock's continued success has earned the company recognition as America's Number One Independently Owned Pizza Chain by Pizza Today Magazine. Our partnership with The Rock now operates three restaurants in the Denver suburbs. We opened our location in Lakewood, Colorado, in November 2011, our location in Highlands Ranch, Colorado in March 2012, and our location in Parker, Colorado, in October 2012. On September 30, 2014, after three years of successful operations, we exited the investment. H. Katz Capital Group, Inc. is partnering in John's Incredible Pizza Company, a family restaurant and entertainment center. They occupy on average 50,000 square feet per store in malls and freestanding locations. John's features a buffet of pizzas, pastas, salads and desserts which occupy half of the store, the other half is for fun and entertainment, which features rides, such as bumper cars, a twister ride, mini-bowling, glow golf, redemption video games, along with attractions for ages 2 to 14 years old. Birthday parties are a major source of revenue. We opened our first joint location in March, 2011, and look forward to expanding John's from 11 locations to 20 in the next three to four years. Experience a 3-D tour of John's Incredible Pizza Company! H. Katz Capital Group is the principal investor in Top Hat Realty Partners, LP. Top Hat Realty Partners invests in off-balance sheet financing arrangements with major retailers. On November 19, 2009, Top Hat Realty Partners purchased fee simple and ground lease interests in 13 CVS drugstore locations throughout the United States in a $60 million leveraged transaction. It sold this investment in late 2010 at an attractive profit. H.Katz Capital Group purchased the one-time offices of the famed architect Addison Mizner who was the visionary developer of Boca Raton, FL. This prime property now serves as a rental office building as well as the home of another of the company's investments: The Addison, South Florida's favorite luxury dining destination and banquet. H.Katz Capital Group is the sole equity investor in The Grenville Homes Group UK Limited. Grenville Homes founded in 1999, is the premier developer of prestigious housing in the London, England metropolitan area. Grenville has completed and sold homes worth over £140 million. Metropolitan Management Communities. Since 1987, the Katz family has invested in numerous high-end, garden-style apartment communities throughout the Philadelphia suburbs and southern New Jersey. Helped found and grow United Valley Bank, a Philadelphia based regional commercial bank which sold in 1997 to what is now Wells Fargo Bank, N.A. H. Katz Capital Group has invested in a number of other industry prominent franchisors.